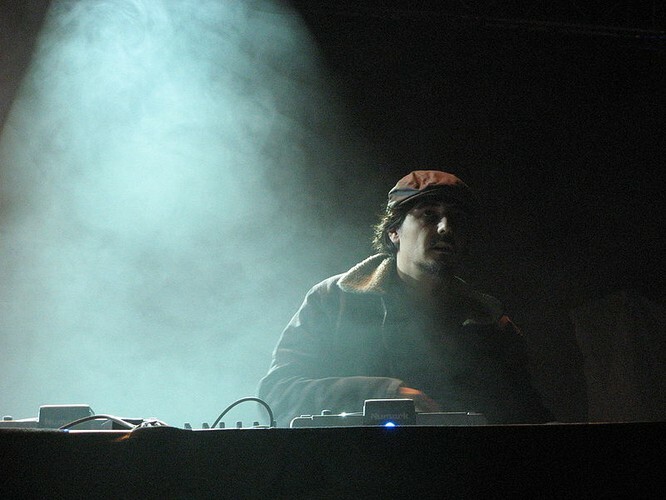 Amon Adonai Santos de Araújo Tobin (born February 7, 1972), known as Amon Tobin, is a Brazilian musician, composer and producer of electronic music. He is described as a virtuoso sound designer and is considered to be one of the most influential electronic music artists in the world. He has released seven major studio albums since 1996 under the London-based Ninja Tune record label. He is noted for his unusual methodology in sound design and music production. In 2007 he released Foley Room an album based entirely on the manipulation of field recordings. His latest album, 2011's ISAM, included "female" vocals made from his own voice synthesised. His music has been used in numerous major motion pictures including The Italian Job and 21. Tobin has created songs for several independent films, including the 2006 Hungarian film Taxidermia, and had his music used in other independent films such as the 2002 Cannes Palme d'Or winner Divine Intervention (Easy Muffin remixed by Bonobo). A selection of his tracks were also featured in the 2005 anime, IGPX. He has also dabbled in video game scores. In 2005, he created the musical score to Ubisoft's critically acclaimed and successful video game Tom Clancy's Splinter Cell: Chaos Theory as well as Sucker Punch's game Infamous.